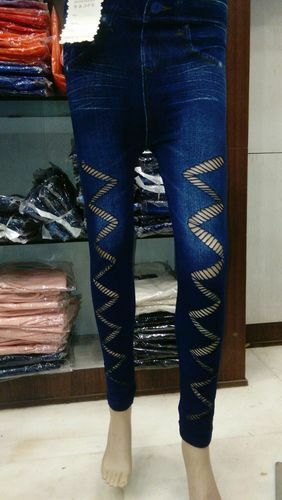 We are popular name in the market to offer an elegant collection of Womens Denim Jeans which is designed keeping in mind the comfort of womens in mind. Incorporated in the year 1998, Fklick Fab Private Limited is widely reckoned amongst the esteemed Manufacturer of an excellent quality collection of Ladies Kurtis, Ladies Leggings, Ladies Dress, Ladies Tops, Mens Lowers and many more. The provided range is fabricated using finest quality fabric and upgraded technology. Moreover, our products are extensively demanded among our clients for their shrink resistance, elegant designs, attractive look, soft texture, light weight and skin friendliness. The products provided by us are available in several colors, sizes, patterns, designs, etc, in order to cater to the exact demands of patrons. Also, we are also providing these products to our customers at feasible prices.